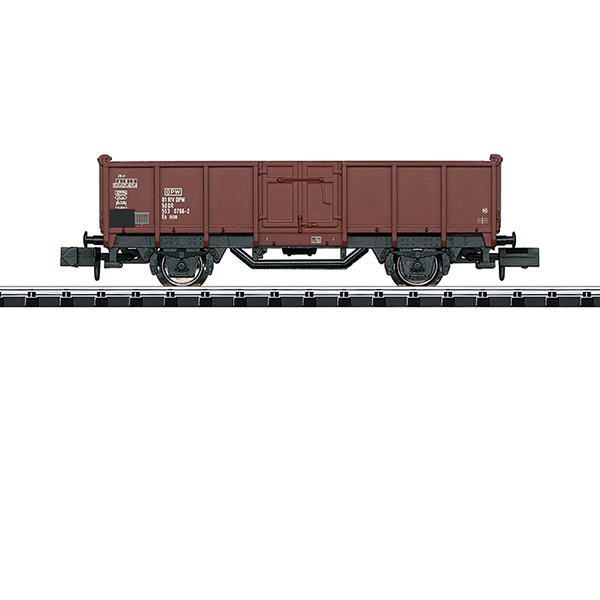 Prototype: German State Railroad (DR) high-side gondola, car number Es 5520. European standard type, 10.0 meters / 32 feet 6 inches long. Model: The car has a close coupler mechanism and simplified construction. Length over the buffers 63 mm / 2-1/2".